MONACO (Principality of Monaco) 5 December 2018 – Youthstream is excited to announce that the first round of the 2019 MXGP and MX2 FIM Motocross World Championship season will take place at the amazing Patagonia-Argentina circuit of Neuquen. The first round will take place as previously announced on Sunday the 10th of March with bikes racing for the first time of the new season in Qualifying on Saturday. MXGP’s return to Patagonia Argentina’s beautiful Neuquen circuit is exciting for the riders, fans, and industry members as amazing GPs have taken place at the venue since first hosting the FIM Motocross World Championship in 2015. Serving as the second round of 2017 and then the opening round of 2018 the previous years have resulted in stunning racing amongst the hillsides lined by thousands of South American motocross fans. Year after year the soil and design of the circuit along with the unique atmosphere have made Patagonia a favorite of many. 2018’s MXGP of Patagonia- Argentina set the tone for the entire season where Red Bull KTM Factory Racing''s Antonio Cairoli and Jeffrey Herlings fought a brilliant battle to an intense finish. 2019 will once again host the superstars of motocross world championship in a new battle for not only the first win but also the first championship leader red plates! Will Herlings maintain his dominance, will Cairoli rise to the challenge, or will another MXGP hero such as Monster Energy Yamaha Factory Racing’s Romain Febvre, Monster Energy Kawasaki’s Clement Desalle or Team HRC’s Tim Gajser regain winning form? The next championship story is yet to be written but it will all start in Patagonia Argentina this March! Cr.Omar Gutierrez, Governor of the Province of Neuquén: "The FIM Motocross World Championship is an international event that is already part of the identity and DNA from the people of Neuquén. Sporting important events like this one have an enormous touristic, social and economic importance, guaranteeing a strong global insertion to the province of Neuquén". 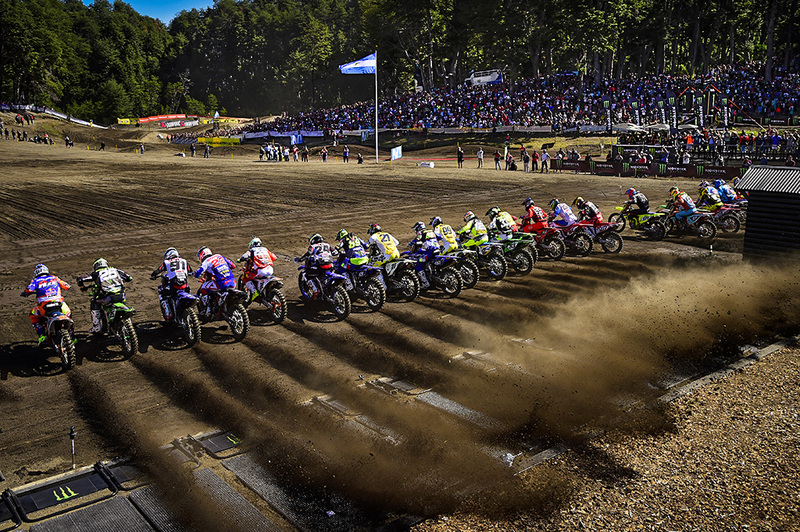 David Eli, Organizer of the MXGP of Patagonia - Argentina: "We are pleased to confirm that in 2019 we will celebrate the fifth edition of the MXGP in Villa La Angostura, Neuquén province. In addition to celebration for having obtained for the fourth consecutive year the title as the best circuit in the calendar, where the local fans and the majestic landscapes of the region give it a unique imprint; we will have the honor to open again the season of the motocross world championship. Returning as host to this international event, is the merit of enormous effort and teamwork that we have been doing from our company (+Eventos) together with the Government of Neuquén and the city of Villa La Angostura."